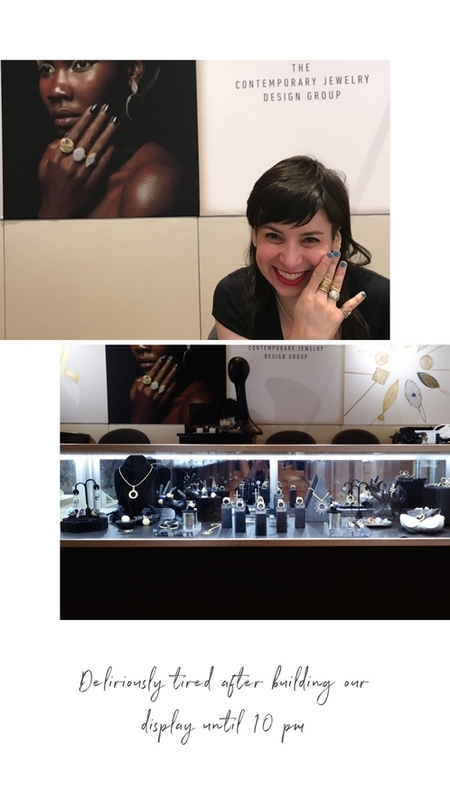 My right-hand woman Eryn put together some scrapbook-style images from our experience at the Couture jewelry trade show in Las Vegas, which I CAN’T believe was already three weeks ago! Sheesh. 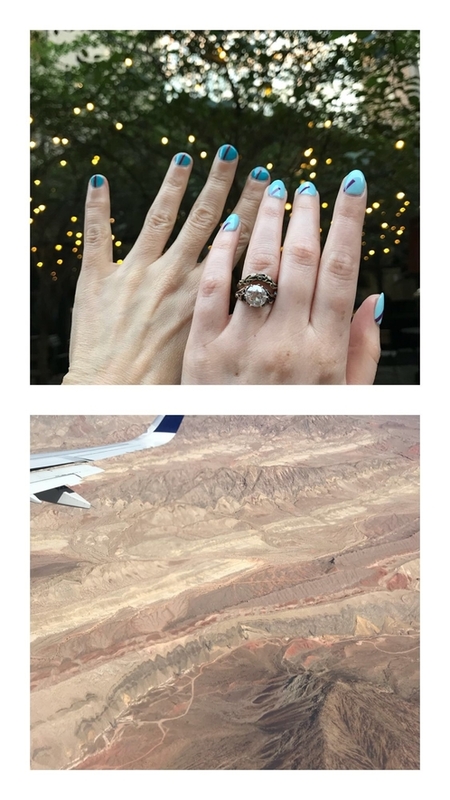 Anyway, we got our nails done the day before — important when you’re showing rings and other jewelry all day — and took a red-eye flight on May 30. 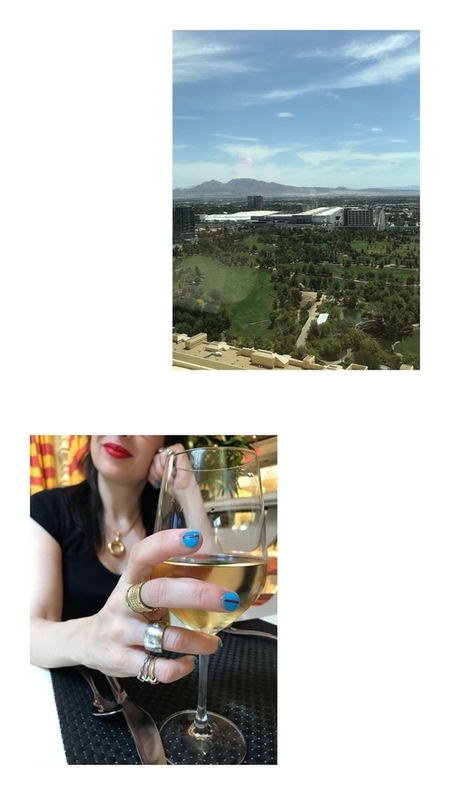 After checking in to our hotel early, we got a glass of wine at lunch. We didn’t get to start setting up our case until 6 p.m. that night and finished around 10 p.m. I would blame deliriousness for my terrible hand-modeling job that night but, to be honest, I always have fingers shooting off in the wrong direction. Ugh. 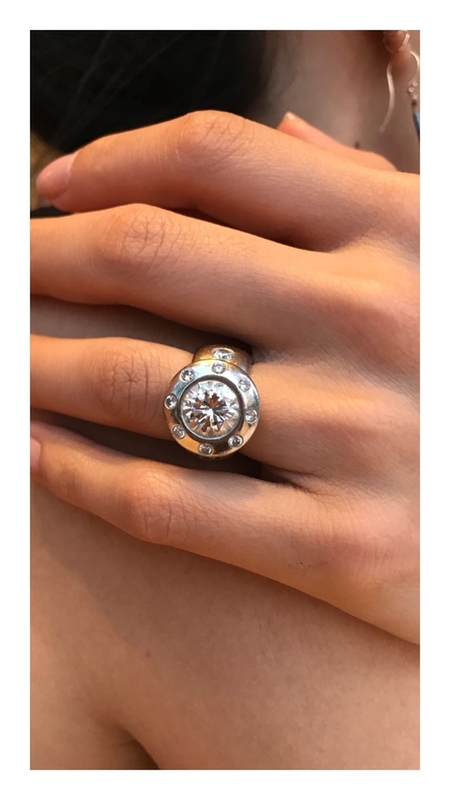 Now, here’s someone who knows how to model rings. This is Daniella Lopez, who works with designer Dana Bronfman. She’s wearing my own engagement ring — my first design — and doing it better than me. 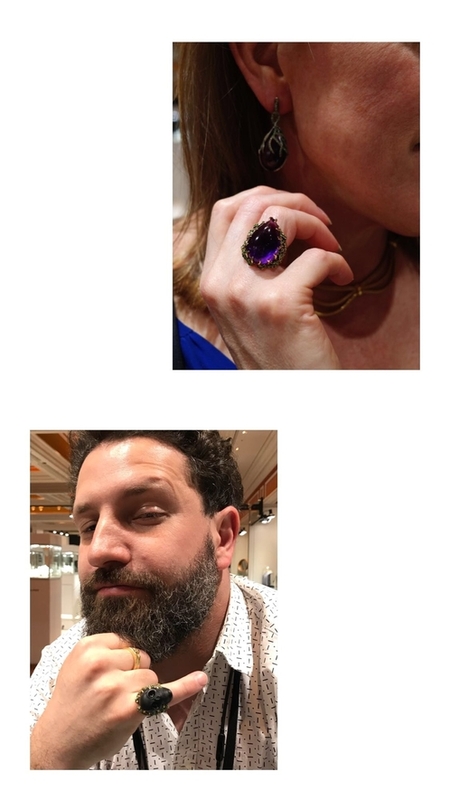 At a jewelry-industry event, everyone tries on everything. Dudes are great pinkie-ring models. The Marie Antoinette earrings and ring above. The onyx skull ring below. Come back next Thursday to see everyone wearing my 18K gold snake tiara! What Wendy Wore: The Last Winter Look?